The 5 Must-Haves for Every Disneyland Mom. We just got back from The Happiest Place on Earth and I’m still on my Disneyland-High. June Gloom in Seattle is no joke, so the only thing to keep me from my post Disney vacation is to keep reminiscing about my week. Even though we go several times a year, each time is unique and special. 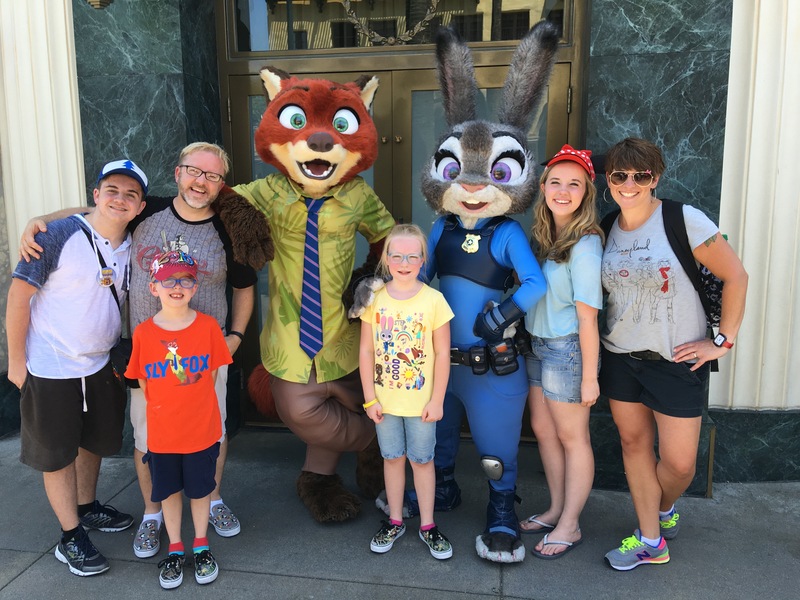 August got to finally ride California Screamin’ and Audrey got to meet her faves from Zootopia. Even with summer time crowds, it was a trip well spent. The bonus to our frequenting Walt’s park so often is that I have learned what to take and what not to take for a fun-filled day. I want to share with you my top 5 things that I always take with me to Disneyland. A BACKPACK. I used to be anti-backpack because I didn’t want those giant straps getting in the way of my cute clothes. After all, sometimes you have to sacrifice comfort for fashion. Well, not in this case. My backpack serves as a refrigerator, a closet, and a purse. And bonus, it helps burn more calories! If you forget your backpack at home, don’t worry, the stores at Disneyland have a nice variety, so make sure you pick one up then pack it up. So, what goes in my backpack? HEALTHY SNACKS. Although I will always choose to eat my way through Disneyland, we try to keep our meal purchases to a minimal cost by splitting. The upside to splitting is not overloading yourself with too much food which makes you sleepy and you get to try MORE food which leads to eating churros or Mickey ice-cream sandwiches. The downside is, if you have a 15-year-old boy, eh-hem, they are constantly hungry, which is why it’s important to keep them fueled during the day with healthy snacks like apples, bananas, peanut butter sandwiches, and granola bars. I like to over-pack snacks just to be on the safe side. WATER BOTTLES. I typically bring two 24 oz disposable water bottles and reuse them during the entire trip. Did you know that Southern California gets really hot in the summer time? Disneyland has graciously put several water bottle filling stations throughout the park. To find out where they are located, you can visit The Disneyland Dad to find your closest refill station. JACKETS.. Yes, it’s hot during the day, but as soon as the sun goes down, so do the temps. I’ve been without a jacket at Disneyland before and when the temps go down so does the level of fun. And yes, I can fit 6 sweatshirts into my backpack. It has taken some practice, but it can be done. CELL PHONE. This one is two-fold, communication and picture taking. Ever been separated from your party or wanted to snap a pic of your youngest giggling on Tow Mater’s Junkyard Jamboree? That’s the beauty of modern technology! Bring your phone. Just make sure to cherish every moment and save your social media posting for your hotel time. These are just a few of my favorite mom tips. If you have any tips you’d like to share, I’d love to see them in the comments section.